What is the Effect of Sugar on Your Immune System? Sugar and the immune system were not designed to go together. Have you overindulged in sweets lately? If you did, be watching for the effects this month. In the last 20 years, the sugar consumption of the average North American has increased from 26 to 135 lbs of sugar per person per year. Prior to 1900 (when cardiovascular disease and cancer was virtually unknown) average consumption was only 5 lbs per person per year. Most sugar used now is in the form of the highly-refined sugars such as sucrose (table sugar), dextrose (corn sugar), and high-fructose corn syrup. They are commonly used in the processing of many foods such as bread, breakfast cereals, mayonnaise, peanut butter, ketchup, spaghetti sauce, and many ready-to-eat meals. The "glycemic index" is a measure of how a given food affects blood-glucose levels. A lower rating means slower absorption of dietary sugar resulting in a more gradual entry of sugars into the bloodstream. On the other hand, a high rating means that blood-glucose levels are increased quickly, which stimulates the pancreas to secrete insulin to control blood-sugar levels. The resulting rapid fluctuations of blood-sugar levels stress the body in many ways. An increase in insulin also inhibits the release of growth hormones, which in turn depresses the immune system. You still need growth hormones after you stop growing taller. The effect of sugar on the immune system has been known for decades. In the 1970's, Linus Pauling, a Nobel prize winner, found that white blood cells require high levels of vitamin C to phagocytize bacteria and viruses. The "phagocytic index" describes how rapidly a macrophage or lymphocyte can, like a little pac-man, gobble up a virus, bacteria, or cancer cell. High levels of Vitamin C affect our immune system's ability to combat everything from the common cold to cancer. Glucose (blood sugar) and vitamin C have similar chemical structures, so when sugar levels go up there is a competition between the two to enter the cells. If there is more glucose around, less vitamin C will get into the immune cell and its activity will be reduced. A blood sugar value of 6.7 (normal=5.0) reduces the phagocytic index by 75%. 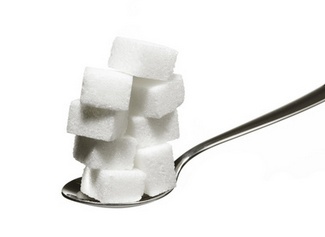 So if you are eating lots of sugar, your immune system could be slowing down to a crawl. It doesn't matter what disease we are talking about, whether the common cold, cardiovascular disease, cancer or osteoporosis, the root is always going to be at the cellular and molecular level, and more often than not insulin levels are going to have a part, perhaps a major part in it. The health dangers from excessive refined sugar intake are extensive. Simple sugars have been observed to contribute to arthritis, asthma, diabetes, gallstones, heart disease, hypertension, mental illness and nervous disorders. There is a wide range of negative effects of sugar on your immune system and general health. Because foods high in refined dietary sugars generally lack minerals and vitamins, they must draw upon the body's micro-nutrient stores to be metabolized. When these nutrients are depleted, metabolism of cholesterol and fatty acids are impeded, contributing to higher blood serum triglycerides, cholesterol, and obesity. Because sugar is devoid of minerals, vitamins, fiber, and has such a negative effect on the immune system, major health organizations such as the American Dietetic Association and the American Diabetic Association recognize that sugar consumption is one of the major causes of degenerative disease. Why not resolve to eat more fruits and vegetables (foods that are grown rather than manufactured) and less refined sugar? Your immune system will thank you and reward you with improved immunity and better health.